Parents sent her to India to force her to carry to term. A young woman feared her parent’s reaction to the news that she was pregnant with the child of a young man of a different ethnicity of whom her parents did not approve. 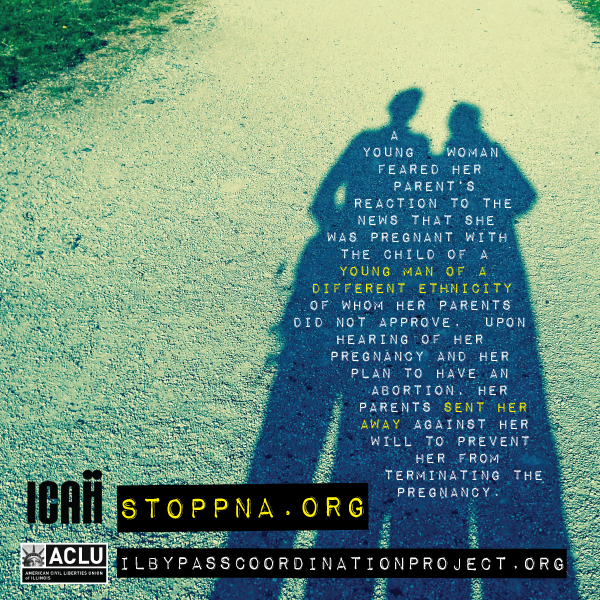 Upon hearing of her pregnancy and her plan to have an abortion, her parents sent her to India against her will to prevent her from terminating the pregnancy. ← After being raped, her mother threw her out of the house.